Production Voices now has educational pricing on all of our piano sample library products. Now with the student discount and faculty pricing, you can save up to 50% off our multi-microphone piano sample libraries! Valid Student or Faculty ID required. Use our Contact form to get further details and instructions on how to take advantage! All prices subject to applicable taxes. Most of our libraries require Kontakt (not provided). Production Grand 2 – Educational Price: $229 plus shipping. Savings of $100. 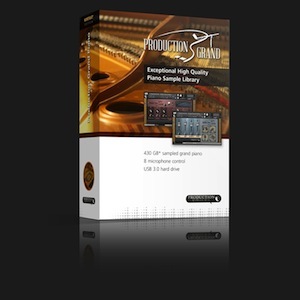 Production Grand 2 Gold – Educational Price: $159. Savings of $90. Production Grand 2 LE – Educational Price: $129.99 Savings of $70. 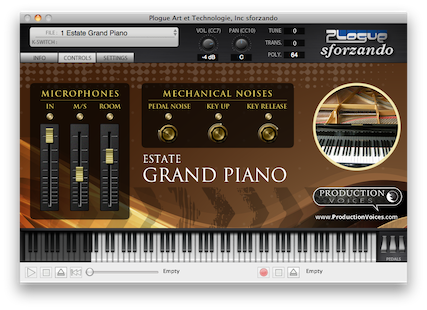 Estate Grand – Educational Price: $49 Savings of $30. Some of our libraries are available in the FREE Plogue sforzando format! If you are a student or graduate from one of the music programs below and live in the London area, please contact us for special pricing.